Found at a local Goodwill store. They appear handmade and old, but I have no clues as to the authenticity. Thank you for submitting your item for appraisal. 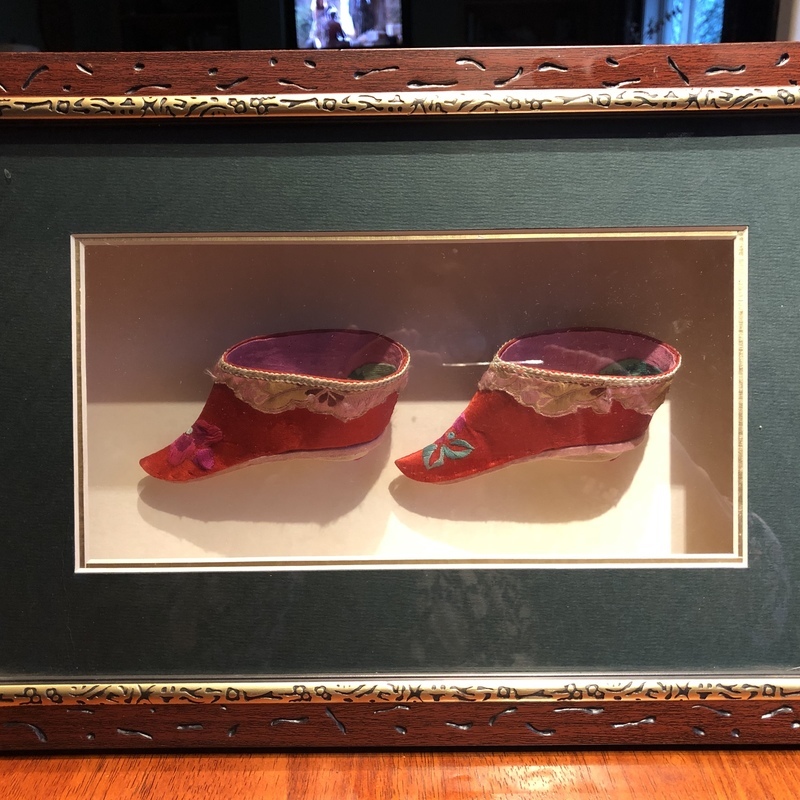 This appears to be a pair of chinese ladies shoes for bound feet, so called lotus shoes, dating to the late Qing Dynasty, circa 1900. The footbinding procedure was painful and limited the ability to move.纏足 were a kind of status and beauty symbol. The shoes in your possession show traces of use, the silk is a bit worn, but the intensive red has not faded. The estimate is based on similar sold at auction. Do you have any idea of how old these are? What era? What is your estimate? Thank you!